Welcome to our sixth sitrep! In this sitrep we'll introduce you to three new Downpour Interactive members, talk about the upcoming release of update v1.5, Talk about the VRML WildCard cup and what’s to come to future updates of Onward. Three new Downpour Interactive team members! Hello, my name is Brian and I'm a programmer on the Downpour Interactive team. Prior to joining the team, I worked on Kerbal Space Program with Squad for two years, and I put in another two years at Valve Software. I have also been working on freelance projects since I was twelve, which...let's just say was a long time ago! Favorite thing to work on in Onward? I'm a general programmer, so I tend to wear whatever hat is necessary to get the job done. However, I particularly enjoy performance optimization - profiling and identifying areas that can be optimized is a lot like fine-tuning a car. Which weapon in Onward do you like the most? I am honestly a terrible shot, so I tend to lean on weapons that can spray and pray. I really like the MP5 because it can fulfill this role, but also flip to semi-automatic and accurately pick off targets at medium range. This is tough, I've played and enjoyed a lot of games, but I tend to highly value procedural content and replayability. This puts games like Path of Exile, Elite Dangerous, and No Man's Sky near the top of my list. Which map in Onward do you like the most? I enjoy the close quarters claustrophobic feeling evoked by maps like Cargo and Tanker. I particularly enjoy Tanker because it is set at night, which opens up more tactical possibilities. What feature do you want to be added to Onward? Due to my aforementioned questionable aim, I really like playing Operations cooperatively with my friends. I would like to see additional cooperative Operation modes that are more objective-based. Hey, my name is Orlando and I’m a 3D artist here at Downpour Interactive. I recently joined after working on Star Citizen/Squadron 42 for 2 and a half years. While I’ll predominantly be working on weapons, I enjoy making props and vehicles too! Any hard surface/mechanical modelling will grab my interest. I’ve always been a fan of the FAMAS. Flashbacks to Metal Gear Solid and Snaaake, but it was Rainbow Six Vegas that cemented it as my go to weapon! I tend to obsess over competitive multiplayer games, although that isn’t to suggest that I’m any good at them! For the past couple of years it’s been Rainbow Six: Siege and Overwatch. I do miss the days of Battlefield 3 though! If I had to settle on one, it’d be Bazaar. A mix of close quarters and mid-long range engagements is where it’s at! What feature do you want added to Onward? Hello! My name is Thomas, and I'm a programmer on the Downpour Interactive team working on this great game! Before joining the team, I've worked at several small gaming startups and done freelance game development work on various projects. I really enjoy working on gameplay-related features not just in Onward, but in games as a whole. 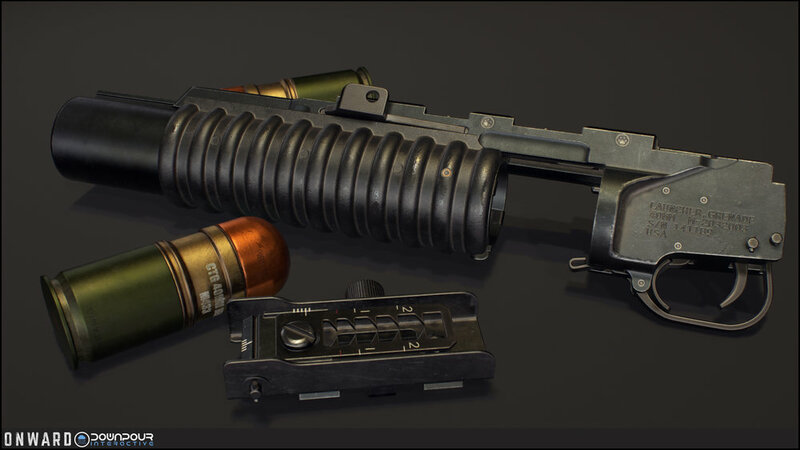 This includes new weapons, options, and other playable content. I'm a fan of lighter weapons, so I like the pistols and grenades. If I had to choose one, it would be the C4 since there are a lot of ways to use it creatively and strategically. This is very tough to answer, but I prefer single-player games, with platformers and RPGs being my favorite genres. I also enjoy colorful, imaginative games that bring you into whole new worlds. It's too hard for me list a single favorite, but Paper Mario: The Thousand-Year Door, Super Mario Sunshine, and The Legend of Zelda: Ocarina of Time are among my favorites. I love nature and lush environments, so Jungle hands down. Jungle really makes you feel like you're fighting in the wilderness, and the varied environment makes developing a game plan interesting. Vehicles, such as cars, tanks, and helicopters. 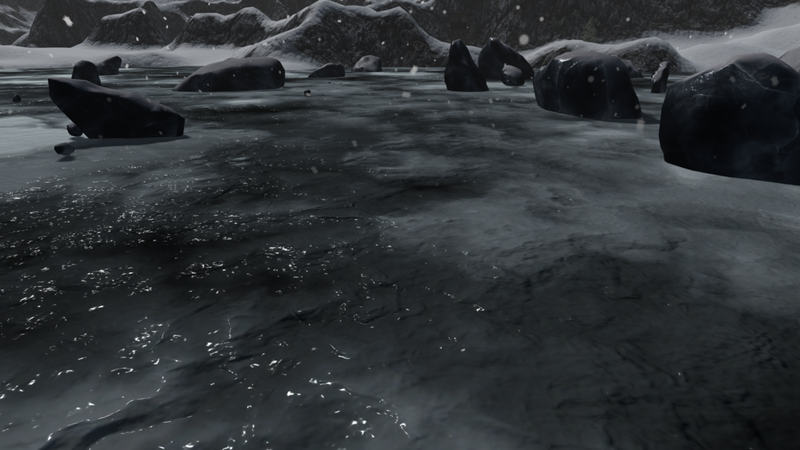 Winter is coming, yet the recent cold weather didn't hold us back us from adding all the new features and applying the final touches to the upcoming v1.5 update. The v1.5 update is just around the corner, and we have some spicy updates to share with you regarding its release. RESCHEDULED for a later date. 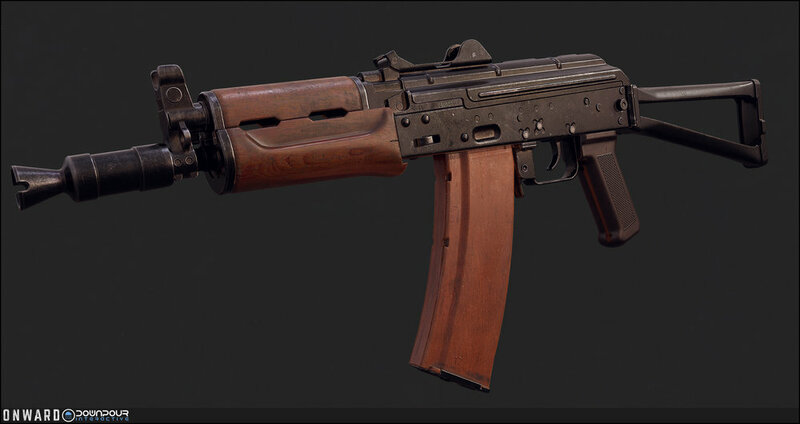 The update will feature multiple new PVP gamemodes, a remodeled version of the AKS-74U, newly added RPG-7 and M203 under barrel 40mm grenade launcher, two new maps and many more additions and performance fixes! Here’s a peek of what the hands will look like in v1.5! The conclusion of the Challenger Cup is on Sat, Dec 8th @ 2200 EST (0300 UTC Sun)! Tune in as Blaze & Legionnaires fight for a spot in the Winter Championships!! 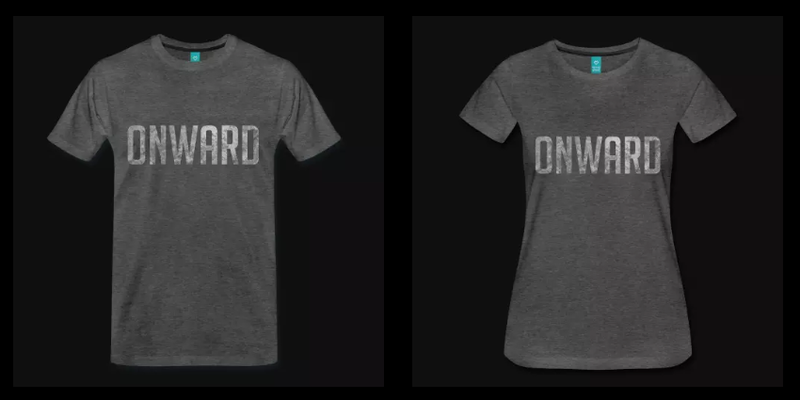 Many of you asked either for the possibility to buy an Onward shirt or to support us in a way, so we’ve launched an Onward merch store! This was the monthly sitrep for December!